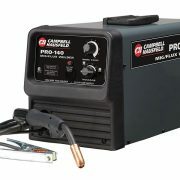 The Lincoln Electric Power MIG Welder is one of my favorite portable machines. 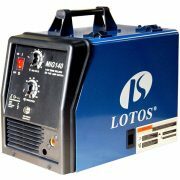 It is a multi-process welding machine that is simply jam packed with features. 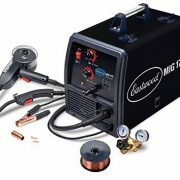 You can perform all the basic welding functions with this model including MIG, TIG, Stick, & Flux core. So if you are a small contractor with a variety of needs or a hobbyist who needs the flexibility to handle a diversity of projects around the house; this is the machine for you! 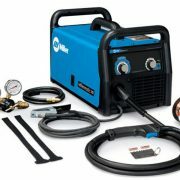 Weighing in at just 40 LBs, the Lincoln Electric Power MIG is as portable as they come. It is also one of the easiest machines to operate. The push and turn digital controls are simple to use. The bright color display screen is clear, and easy to read. 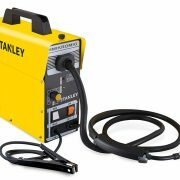 The intuitive controls are just what the welding doctor ordered for novice welders, or somebody who is welding for the very first time. The smart display will guide you through the setup process with step by step instructions so you can achieve a flawless weld from day one. 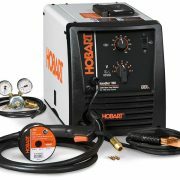 The Lincoln Electric Power MIG welders is one of the few models that includes an option to operate on 230 Volt or 120 Volt for the ultimate in flexibility. For larger projects in your workshop you can use the 230 Volt input power for added performance. 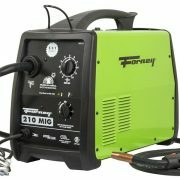 The 120 Volt option provides the portability you need to take your welder on the road and for working in the field. 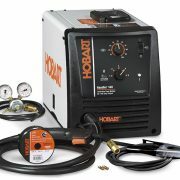 With 230 Amps of output power, you can easily weld mild steel up to 3/8” thick. You can weld stainless steel and aluminum up to 3/16” thick. Switch over to the DC Stick Mode and you can weld with standard 5/32” diameter electrodes. This isn’t really a negative about the machine but rather a comment about the package which doesn’t include a Spool Gun. So if you really want to, or need to perform some Aluminum Welding, you will need to purchase a spool gun separately. You may want to check out the Lincoln Magnum Pro Spool Gun. While it’s on the upper end of the price range, you actually get a lot of machine for the money, so at the end of the day it’s a great deal. You can never go wrong with the Lincoln name either. Talk about simple to use, just plug and play!